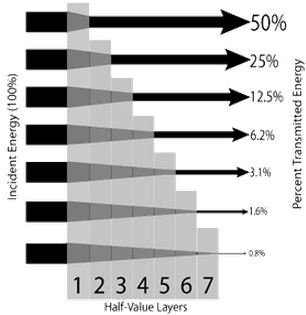 The relative importance of various processes of gamma radiation interaction with matter. The attenuation of gamma radiation can be then described by the following equation. , where I is intensity after attenuation, Io is incident intensity, μ is the linear attenuation coefficient (cm-1), and physical thickness of absorber (cm). 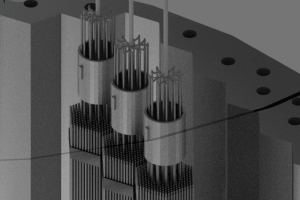 The linear attenuation coefficient increases as the atomic number of the absorber increases. 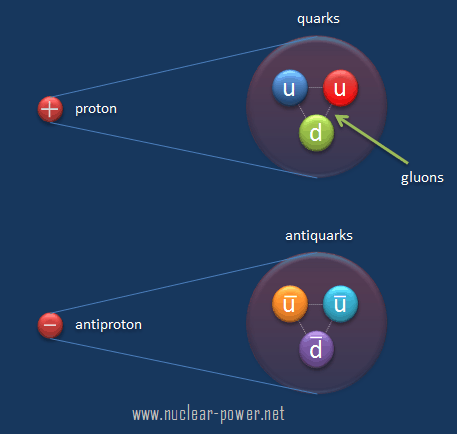 The linear attenuation coefficient for all materials decreases with the energy of the gamma rays. The half value layer decreases as the atomic number of the absorber increases. 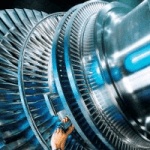 For example 35 m of air is needed to reduce the intensity of a 100 keV gamma ray beam by a factor of two whereas just 0.12 mm of lead can do the same thing. 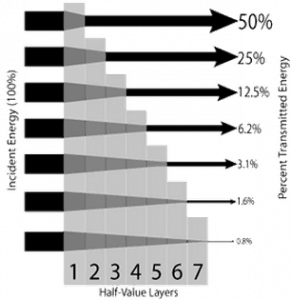 The half value layer for all materials increases with the energy of the gamma rays. For example from 0.26 cm for iron at 100 keV to about 1.06 cm at 500 keV. 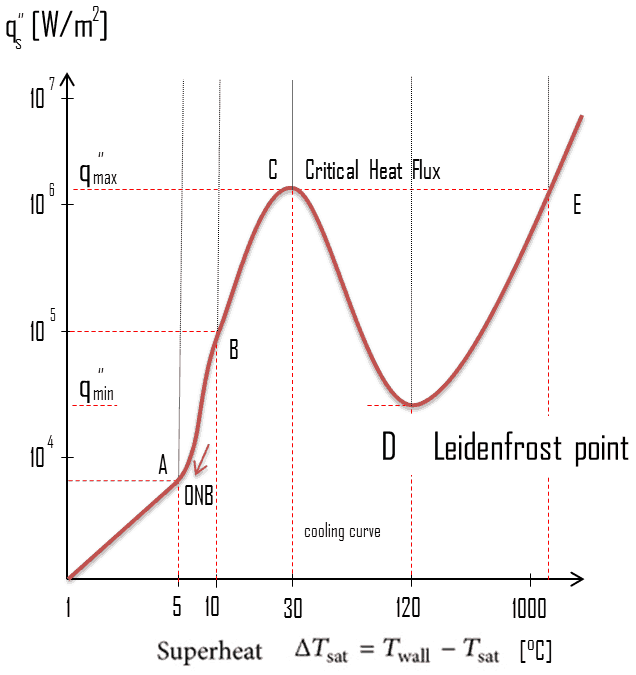 , where ρ is the material density, (μ/ρ) is the mass attenuation coefficient and ρ.l is the mass thickness. 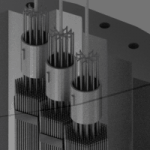 The measurement unit used for the mass attenuation coefficient cm2g-1.For intermediate energies the Compton scattering dominates and different absorbers have approximately equal mass attenuation coefficients. 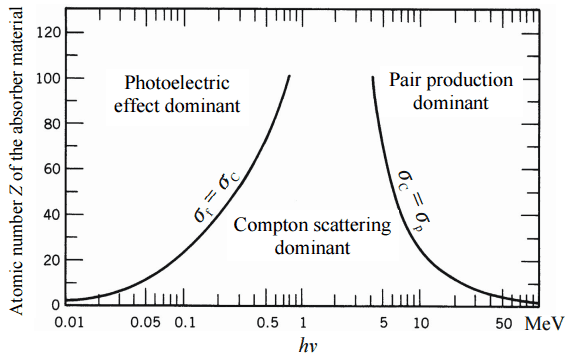 This is due to the fact that cross section of Compton scattering is proportional to the Z (atomic number) and therefore the coefficient is proportional to the material density ρ. 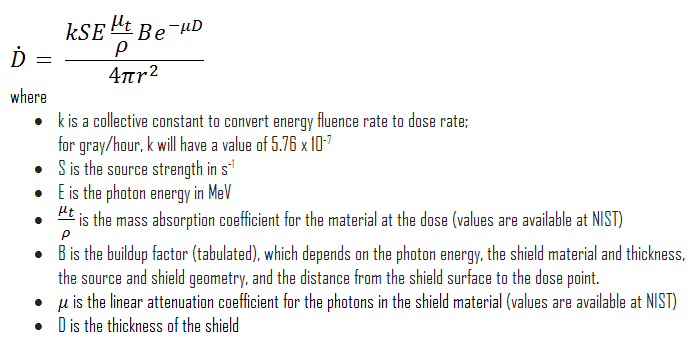 At small values of gamma ray energy or at high values of gamma ray energy, where the coefficient is proportional to higher powers of the atomic number Z (for photoelectric effect σf ~ Z5; for pair production σp ~ Z2), the attenuation coefficient μ is not a constant. So the required thickness of water is about 47.5 cm. This is relatively large thickness and it is caused by small atomic numbers of hydrogen and oxygen. 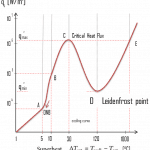 If we calculate the same problem for lead (Pb), we obtain the thickness x=2.8cm. Table of Linear Attenuation Coefficients (in cm-1) for a different materials at gamma ray energies of 100, 200 and 500 keV. 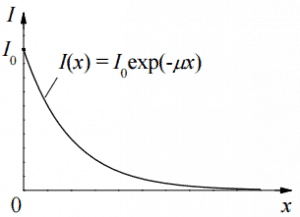 The exponential law will always describe the attenuation of the primary radiation by matter. 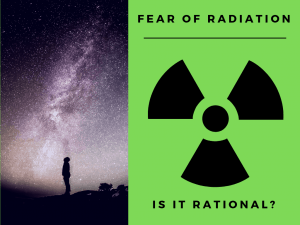 If secondary particles are producedor if the primary radiation changes its energy or direction, then the effective attenuation will be much less. The radiation will penetrate more deeply into matter than ispredicted by the exponential law alone. 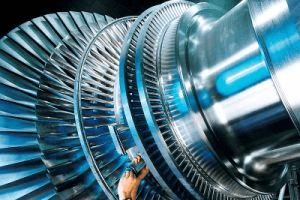 The processmust be taken into account whenevaluating the effect of radiation shielding. 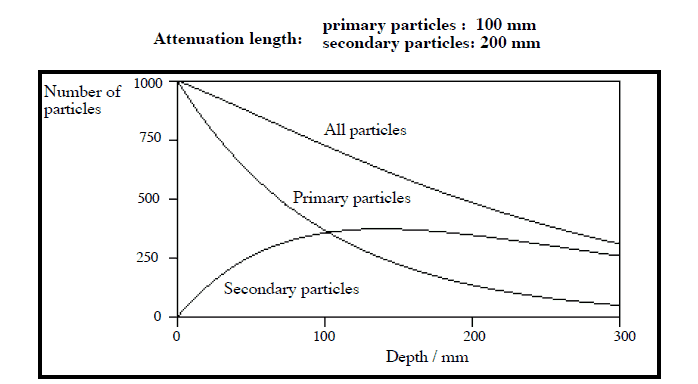 Example of build-up of secondary particles. 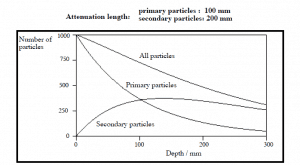 Strongly depends on character and parameters of primary particles.